If you follow our instagram account you will know that we are obsessed with our new accessories! It has taken me a long while to find accessories that are modern and match the style of our dresses, but I have finally found them. Victoria Percival is a hair and make-up artist based in London. She has worked hard to become the go to artist for the modern, fashion forward London bride. Starting her career in fashion design and styling, Victoria's unique eye for stunning pieces and keen sense of style has allowed her to create a fresh, new collection of bridal pieces to suit the fashion-forward, discerning bride. 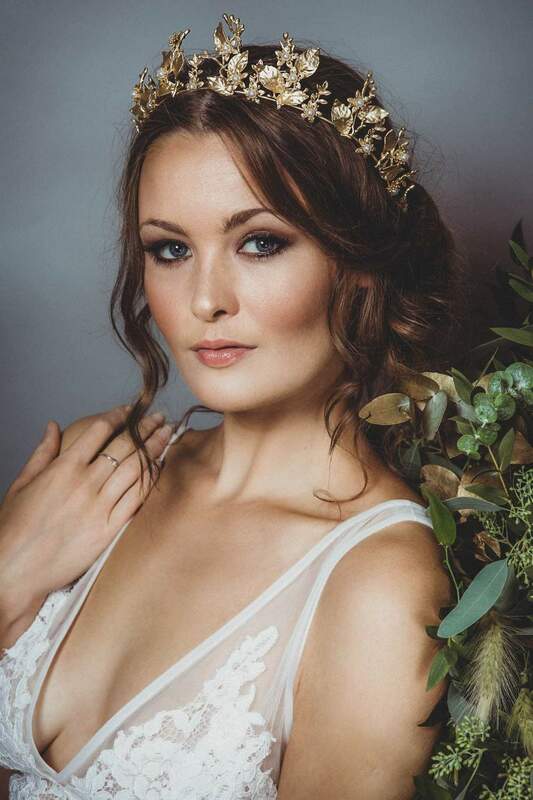 "So many of my brides were asking me if I had any hair accessories for them to try on during their pre-wedding day trial, that it became obvious my service should expand to styling and accessories services for the bride's journey. With such busy lives, my brides were finding the whole process of searching for their accessories overwhelming and confusing. Not only that, but what was on offer online wasn't capturing their imaginations or making them feel like they were making a statement". She has created a gorgeous collection which is being loved by brides and designers alike. Victoria’s accessories are stocked in the most sought-after boutiques and recently worked with the acclaimed bridal designers Berta on the release of their new dress collection. In the boutique we have a selection of her earrings, crowns, combs and vines for you to choose from. This have already proved a hit with our brides with many of them choosing their accessory first then their dress to complement it. If you would like to try the pieces on please do pop in and see us, we will be happy to help. We are planning on increasing the collection we have in the boutique so keep your eyes peeled for picture of more designs on our Instagram account.